Create a build-your-own-fajita buffet. Set out colorful bowls filled with a variety of toppings such as shredded cheese, guacamole, salsa, chopped tomatoes, torn lettuce, sliced ripe olives and chopped fresh cilantro. 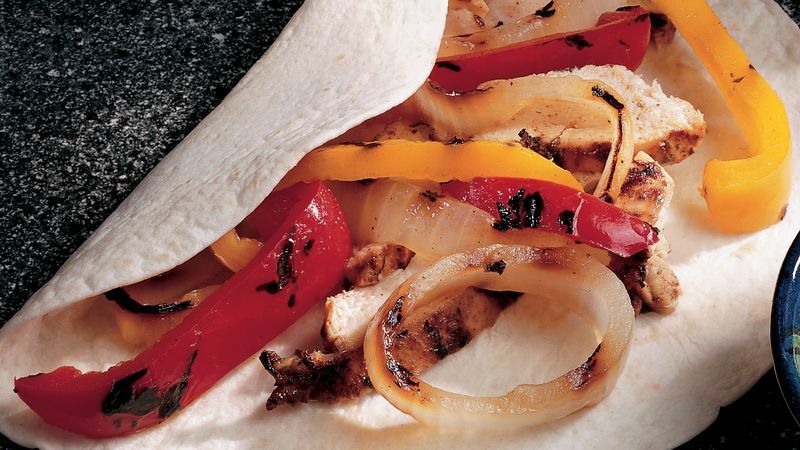 Recipe Variation Steak Fajitas: Substitute a 1-lb beef boneless top round steak, about 1 inch thick, for the chicken. Marinate as directed, and grill 12 to 16 minutes for medium doneness.